Earn $43.80 in VIP credit (4380 points)What's This? 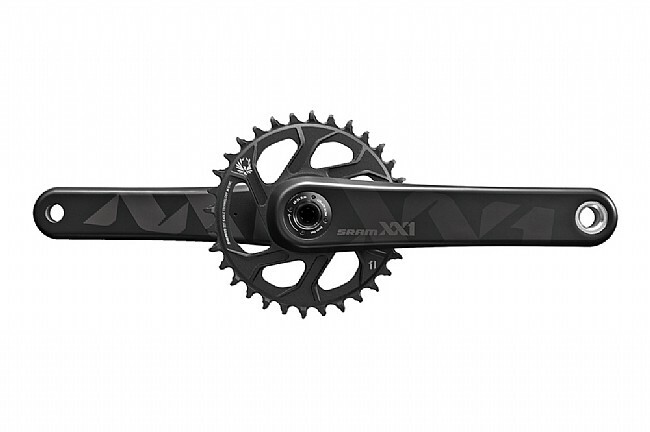 The SRAM Eagle XX1 Crankset features re-engineered hollow-carbon architecture to create one of the stiffest, strongest, and lightest cranksets on the market. Carbon Tuned™ layup ensures strength and stiffness at significant stress areas while shaving weight where reinforcement isn't necessary. The result is an ultra-efficient cross-country crankset designed to handle massive power output from riders driving SRAM's 12-speed Eagle drivetrain. It includes a forged and CNC-machined X-Sync™ 2 direct-mount chainring that offers quieter engagement and better mud-shedding than the previous design.